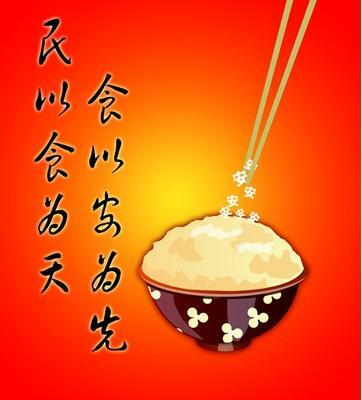 Home /Culture and Society, Sustainable Development/Improving Food Safety Standards: how far can China go? Recently I travelled in China and met a friend who brought a bag of tea for me. I was surprised that the location of the tea producer was Taiwan rather than a local source, considering it was a major Chinese tea plant area. He explained that he does not trust local tea which often contains high levels of chemicals due to the overuse of pesticides in the tea plantations. His worry reflected public concerns about the widespread lack of food safety in China. A number of food safety scandals have been reported in recent years. The most influential one was the toxic milk products with melamine found in 2008 which influenced the health of tens of thousands of babies and caused several deaths. Last year, nonetheless, “gutter oil”, illegal cooking oil recycled from kitchen waste, has been found in restaurants and supermarkets in many cities, leading to a further drop in public confidence regarding the government’s capacity to manage food safety. 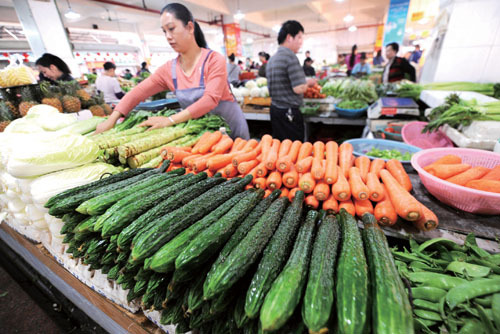 Responding to public concern, the Chinese government hastened the passing of a food-safety law in 2009 to tighten standards, improve supervision and impose tougher penalties on violators. In July 2012, the State Council issued a series of measures (a total of 28 items) to enhance food safety management. One of the most important measures in the document is to include food safety as a key indicator (similar to environmental quality improvement) for measuring local governments’ performance in their annual assessments. Not different from the responses to other social issues such as labour unrest and “school bus incidents”, what the central government has done is to enhance political pressure placed on local governments to fulfil their responsibilities, in addition to inter-department coordination plus additive financial inputs. Under such a strong political commitment and the mobilisation of relevant resources, there is no doubt that the above measures could lead to a decline of food safety incidents in the short term. Whether they can lead to an improvement of food safety standards in China for the long term, however, remains to be seen. Why is it necessary to caution the Chinese government’s effort? This is because a significant improvement in food safety standards will take a long time and involve fundamental changes or adjustments in the behaviours of stakeholders including food production, processing and distribution systems, and in particular local governments. For food producers, it requires standardisation of the agricultural production system which is largely dependent upon the conditions of agricultural technology and organisational innovation toward a scale of agricultural production. Under the current household production system, it is hard for millions of small farmers to change their production style which is heavily reliant on the inputs of chemical fertilisers and pesticides. For the food processing industry, given that most of the firms are small and medium enterprises (SMEs), food safety is related to both the enhancement of enterprise social responsibility and the improvement of the SMEs’ business environments including the decline of tax burdens and the increase of production investment. The continuity of food safety incidents since 2009 seems to suggest that the limitations of simply administrative measures and economic penalties are not enough as the issue involves a significant adjustment of local economic structure and complicated interest distribution relations. From the perspective of food safety management systems, the improvement of food safety standards depends on not only the improvement of relevant regulations at national level, but also on strict implementation at local level. Concerning the latter, it is reasonable to doubt the commitment to food safety management of local governments and relevant departments once the central government lightens the political pressure. This is because local or sector economic interests are an important factor contributing to dysfunction or event anti-function of local governments to fulfil their responsibilities. Finally, the wide participation of customers and NGOs is a crucial condition for the significant improvement of food safety standards. Although mentioned in the government document, to what extent the Chinese government allows the development and participation of civil society organisations is a big question. It is very interesting to read your thoughts, Dr Wu. It is a shame that myopic managers and local officials seem to put private benefits before robust standards that would benefit everyone including themselves in the end. A good reputation for quality can lead to long term success even if it means short term sacrifices. A national campaign for higher safety could also provide opportunities for government affiliated food safety regulation authorities who can certify compliant products.